Dani Mari is a multi genre music producer and visual artist that works with artists from all over the world. 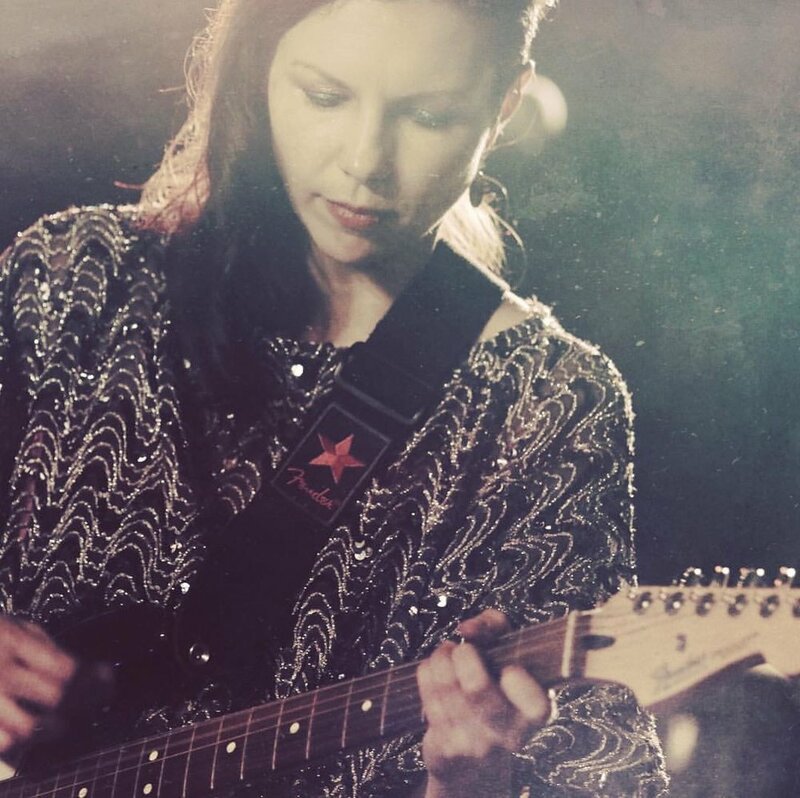 She is currently working on a solo album as Primitive Heart and her love for shoegaze has brought about collaborations with Violentene, Omega Vague, Xeresa and more. As a visual artist, Dani Mari creates live visuals for her performances and other events. She is a huge horror fan and created a series of songs & horror films inspired by Dario Argento's movies about witches (Suspiria, Inferno & Mother of Tears) with Johnny Butler for Cruel Beauty Productions & premiered them at the Brooklyn Horror Film Festival. Dani Mari is the founder of Female Frequency, a community dedicated to empowering female, transgender & non-binary artists through the creation of music that is entirely female generated. She created an album made entirely by women with co-founders I Am Snow Angel & Claire London, Madame Gandhi, Ryat and many other female producers & engineers. What are your goals as a musician, artistically/ commercially? I’m working on producing my solo album for my Dreamgaze project Primitive Heart. I’m also finishing up an album with Violentene that will be released later in the year. Omega Vague and I are also in the process of collaborating on some more music together. Who would you want as a dream producer and why? Radiohead. I love the music that they make. Collaborating with them would be a dream come true. What are you trying to avoid as a musician? I’m trying to avoid getting wrapped up in all the marketing, social media, etc. that comes along with being an artist. I try to focus more on songwriting, producing and collaborating. Explain your songwriting process, who starts? How does it evolve, is it organic? Is it discussed? My songwriting adapts to whomever I am working with. Sometimes I start writing the lyrics first. Sometimes I write the music first. If it is a song that I am writing on my own I typically write the song on acoustic guitar with vocals first and then add additional instruments. For collaborations I usually write the vocal melodies and lyrics over instrumentations from the other artist that I am working with. Female Frequency is a community dedicated to empowering female, transgender & non-binary artists through the creation of music that is entirely female generated. The EP features: I Am Snow Angel- producer, audio engineer, mixer, instrumentalist/vocalist, songwriter Claire London- vocalist, songwriter Dani Mari- vocalist, songwriter Kiran Gandhi- instrumentalist Kerry Pompeo- vocal engineer, mixer, co-producer Dara Hirsch- audio/vocal engineer, mixer, co-producer Jett Galindo- audio/vocal engineer Steph Durwin- audio/vocal engineer Kimberly Thompson- audio engineer Maria Rice- mastering engineer. Email us at femalefrequencymusic@gmail.com if you would like to be featured or involved with our Female Frequency Radio show (every 3rd Tuesday on at 10pm EST on Femchord - femchord.com ), workshops, events and more!